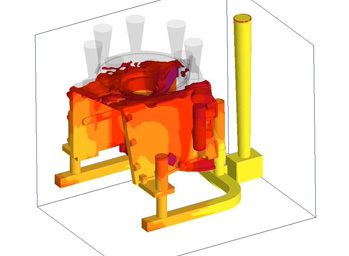 Virfac® addresses the advanced simulation of welding processes, heat treatment, surface treatment, carburizing and other manufacturing processes. 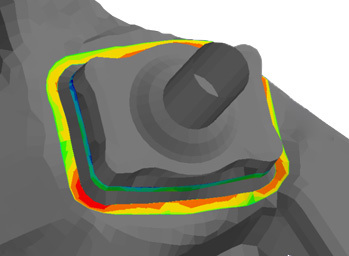 The Virtual Factory, Virfac®, is based on the massively parallel finite element solver Morfeo, which has been actively developed with the aim of carrying out massively parallel simulations of various manufacturing processes. GeonX is a high-tech start-up company specializing in virtual manufacturing which started its activities in 2012, following 10 years of research and development of virtual manufacturing activities in the research centre Cenaero. 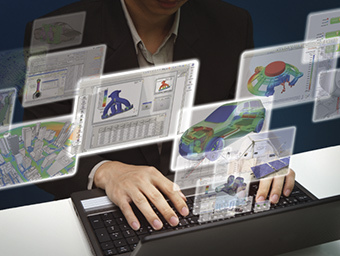 GeonX is developer of VIRTUAL FACTORY, or Virfac® software, which enables R&D and production engineers to accurately model their manufacturing processes (machining, welding, and heat treatment) in an intuitive, easy to use, production machine connected software environment. Virfac® is available through the Altair Partner Alliance. Virfac® uses several solvers as computing engines depending on the accuracy level and physics to be modeled. Virfac® is written in C#, uses modern software architecture (Model-View-ViewModel) and implements the Parasolid® kernel of Siemens PLM. 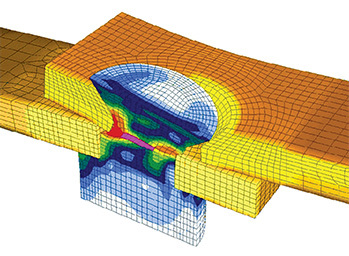 Its main computing engine, Morfeo, is a non-linear finite element solver capable of non-linear thermo-mechanical-metallurgical detailed modelling of manufacturing processes. Morfeo is fully parallel and works on shared and distributed memory machines. 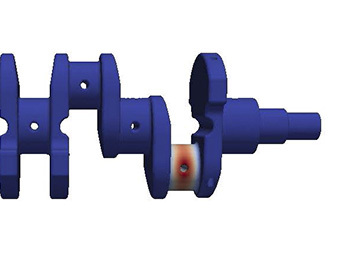 It embeds special functionality dedicated to welding, heat treatments and machining such as the Extended Finite Element method using level sets. Residual Distortions: Virfac® predicts distortions encountered by the workpiece due to manufacturing and helps you to optimize your processes. Residual Stresses: Virfac® predicts the level of residual stresses and helps you to calculate the in-service fatigue life of the manufactured part. 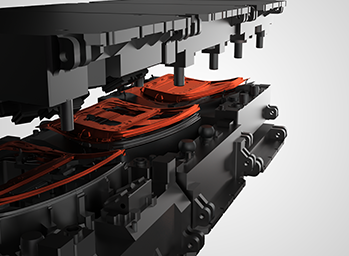 Manufactured Part Quality: Virfac® predicts the materials transformations and microstructure during the process and the final quality of the manufactured component. Control parts distortions during manufacturing operations and improving quality mastering at the earliest stage before launching the production. Control residual stresses generated during manufacturing operations and monitoring of the impact of manufacturing on life and durability. Understanding the complex physical phenomena occurring during manufacturing and the influence of process operating condition in order to reduce scrap and increase cash return. Virfac® is particularity suited for high fidelity results in complex industrial applications, including Automotive, Aerospace, Heavy Industry, Shipbuilding and Energy.